Lhasa is always the dream destinations for travelers because of its stunning landscape and Tibetan Buddhism culture. 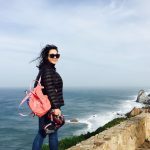 During your trip in Lhasa, Tibet, here are the top five activities you need to do in order to get an authentic travel experience. If you want to taste the local delicious food, you can choose to go to Guangming Kamqung Sweet Tea House, which located on Barkhor Street. Because this tea house is one of the most famous and oldest one in Lhasa city. 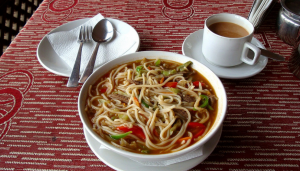 Local people and travelers from all over the world gather together here every morning for its tasty Tibetan noodles and a cup of sweet tea. It is always good to bring some gifts back to your families and friends after your wonderful Tibet tour. 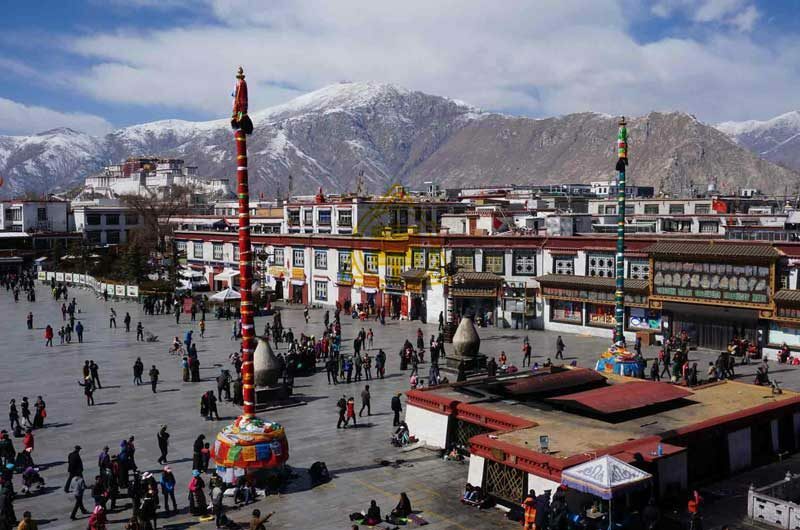 Here, at the ‘Window of Tibet’, you can buy various local products and gifts in the Bazaar. For example, you can find delicate Thangkas, and prayer wheels with affordable price. Also, there are beautiful beads and stunning decorations. You can always find what you want in the Barkhor Bazaar. On your last day in Lhasa, you really should go to the theaters to enjoy the night shows and drink the local barley beer after your Tibet trip. The shows are very unique that it combines traditional Tibetan songs and dances together. You can experience and understand the Tibetan history during the show. There are two famous shows in Lhasa, namely Happiness on the way and Himalaya. You can check the detail information online. Tips: Do not drink beer during your first few days in Lhasa. The best place to take pictures of Potala Palace is on the top of Yaowang Mountain. This mountain is just located beside the Potala Palace on the main street of Lhasa city. The shooting platform opens from 7 am to 10 pm. If you want to take a best shot, you can go there around the sunrise, sunset and lighting time. Do not forget to be there earlier as it is a hot spot for Tibet travelers. If you want to have a comfortable and authentic Tibet tour, it is really recommend to find a local travel agency. They will sent experienced guide and driver with you. Guide is really important if you want to know more about Tibetan Buddhism or the stories behind each marvelous buildings. Also, if you want to visit outside Lhasa city, you have to be accompanied with local guide. If you are looking for a trustworthy Tibet travel agency, you may click this website for more detail information.